Mountain Village Resort is providing free live music during S.O.B. weekend! Sean Devine will be opening for Jeff Crosby and the Refugees on Friday and Saturday nights at Mountain Village's Velvet Falls Dance Hall. 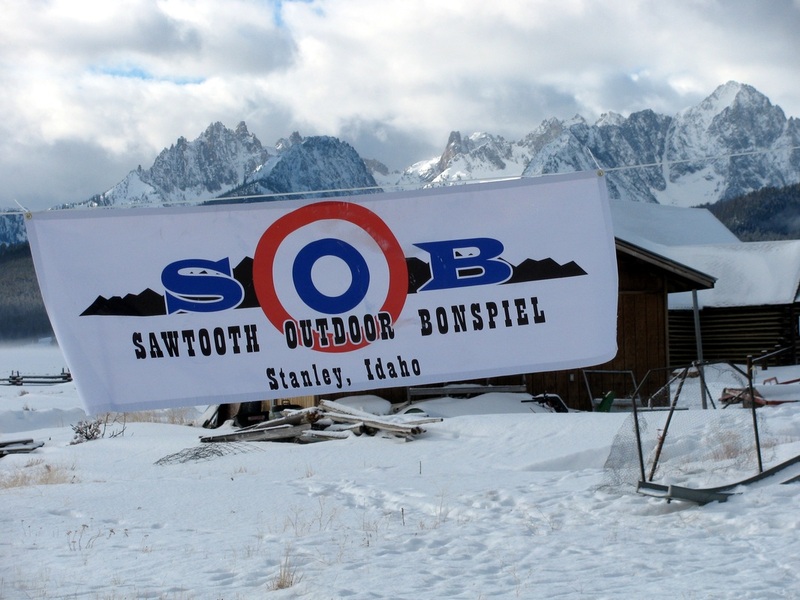 The Boise Curling Club will be hosting the seventh annual Sawtooth Outdoor Bonspiel (the “S.O.B.”) in Stanley, Idaho on January 25-27 2019. The S.O.B. is a 16-team, three-day open bonspiel with a three game guarantee held on the outdoor ice rink in Stanley. The S.O.B. will begin at 5pm on Friday and end at noon on Sunday. View of the Sawtooths from the ice rink. Games will take place Friday evening, Saturday morning, Saturday evening, and Sunday morning. Specific times for the games will be published once they are set. 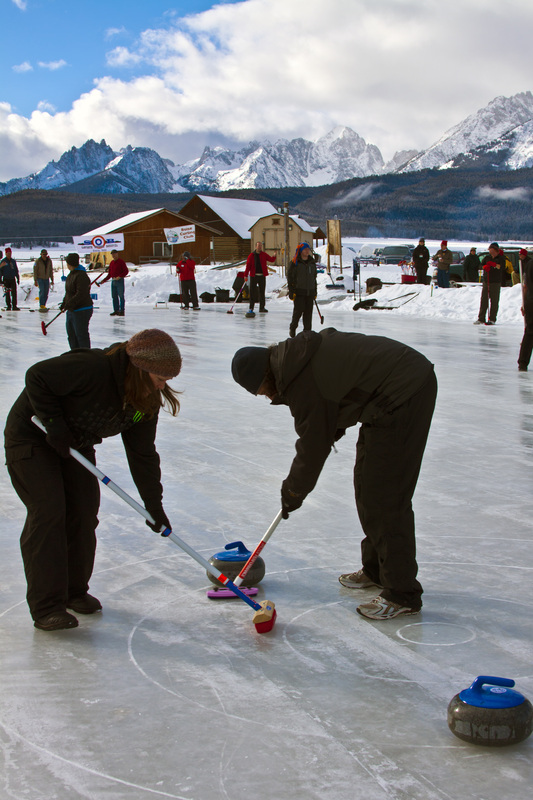 Along with curling outdoors with spectacular views of the Sawtooth mountains, the bonspiel includes a banquet, a rink-side heated tent, and fire barrels to keep curlers warm. Stanley is just an hour north of Sun Valley, Idaho, if curlers want to get in some world-class skiing while they are there. There are even a few hot springs near Stanley for curlers to soak in. Stanley, Idaho, population 63 as of the last census count, is nestled between the “River of No Return" Salmon River and the Sawtooth Mountains in central Idaho. Stanley is an outdoors activity mecca, with opportunities in the area for snowmobiling, downhill skiing, cross-country skiing, fishing, rafting, and many other outdoor activities. The Sawtooth Mountains to the west of Stanley have over 130 mountain peaks higher than 9,000 feet and hundreds of alpine lakes. The surrounding mountains combined with Stanley's elevation of 6253 feet help to create a very cold climate. Year round, Stanley is known for often being the coldest spot in the continental United States. There are only three months of the year when the average low temperature is above 32 degrees, which makes for a short growing season but makes for an excellent outdoor curling season. Spectators are welcome to come and watch the bonspiel for free. Curling games will take place Friday evening, Saturday morning, Saturday evening, and Sunday morning. There will be a free “Learn to Curl" class on Saturday at noon for those who want to learn more about curling and play a short game. 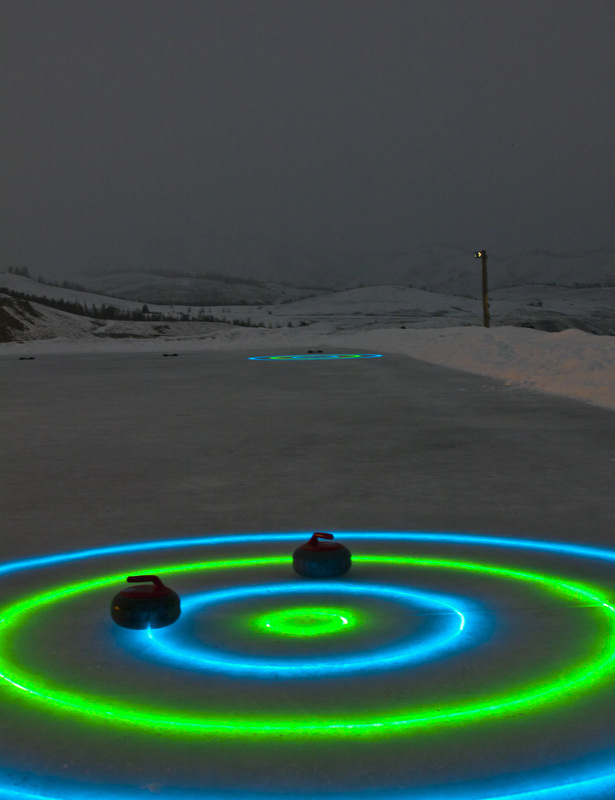 See the “Learn to Curl" page above for more information.